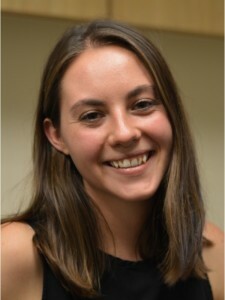 Trina Mitchell is a Ph.D. student in the Laboratory for Rehabilitation Neuroscience. Prior to coming to the University of Florida, Trina completed her Bachelor’s degree in kinesiology at Western University and went on to complete her Master’s degree at McGill University. Her graduate work focused on neural mechanisms of gait impairments in Parkinson’s disease. Trina is an associate trainee under the NIH T32 interdisciplinary training program in movement disorders and neurorestoration and her doctoral research is funded by the Graduate School Fellowship Program. Trina is interested in using non-invasive imaging techniques (e.g., dMRI and fMRI) to better understand biomarkers for disease progression and motor characteristics in Parkinson’s disease and atypical parkinsonian syndromes such as progressive nuclear palsy and multiple system atrophy.